Going through gynecological surgery, no matter how minor, can be overwhelming. But at the practice of Christine Wu, MD, you’re in the most caring, expert hands in Philadelphia. 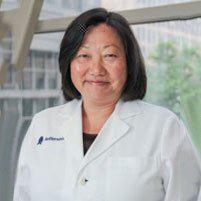 As a highly trained gynecologist, Dr. Wu specializes in minimally invasive surgery techniques. You can feel confident that your procedure is going to be as effective as possible and that you won’t have any extensive downtime. Schedule your evaluation with Dr. Wu by calling the office or by using the online scheduling feature. Which surgeries can an OB/GYN perform? Years ago, gynecological surgeries involved making a large incision across your lower abdomen. Not only did you have to recover from the surgery itself, but you also had a large wound that needed to heal. With modern advancements in minimally invasive surgery, Dr. Wu only has to make three to five small incisions in your lower abdomen. She simply inserts a laparoscope — or specialized camera — in one of the incisions, then uses her surgical tools in the surrounding incisions. Aside from the faster recovery period, a minimally invasive procedure is safer and more effective than traditional surgeries. How do I prepare for gynecological surgery? In many cases, you need to stop taking certain medications the day before, including dietary supplements or over-the-counter medications that can thin your blood. Dr. Wu might have you go through a bowel prep by following a liquid-only diet and taking laxative medications the day before surgery. Usually, it’s also essential to avoid having anything by mouth after midnight — sometimes sooner — the day before surgery. If Dr. Wu gives you prescriptions, get them filled ahead of time, so you have them as soon as you get home. Unless you have a specific health issue, you should be able to go home shortly after surgery. Make sure you plan for a ride home and have someone stay with you for at least the first 24 hours while you recover from the effects of anesthesia. If you need a minimally invasive gynecological surgery, schedule an evaluation with Dr. Wu by calling or by using the online scheduler.